Top diplomats from the United States and Russia, on 5 September, failed to reach a deal to halt fighting in Syria, US officials said. According to a report in NDTV, a senior State Department official said a fresh round of crisis talks between Secretary of State John Kerry and Russian Foreign Minister Sergei Lavrov on the margins of the G20 summit in China had ended without agreement. In the five-year conflict, Washington and Moscow support opposing sides, which has killed around 300,000 people. US officials had hoped to build pressure on Moscow over its support for Assad's government during the Hangzhou summit and upcoming UN General Assembly. Washington has repeatedly said that Assad must step down in order for a lasting peace deal. Russia was accused of backtracking on agreed issues which Washington refused to revisit, NDTV reported. 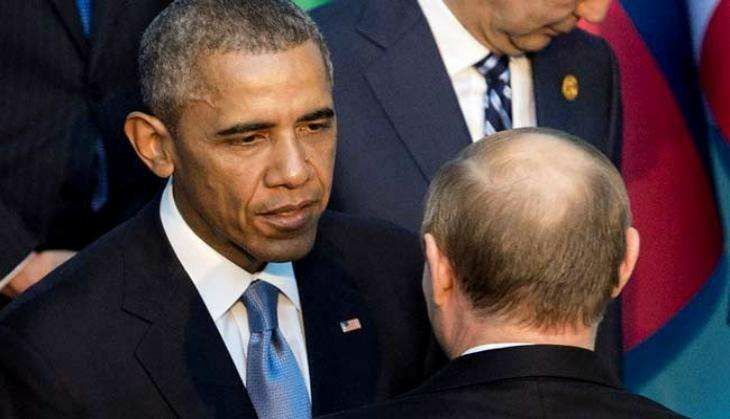 Presidents Barack Obama and Vladimir Putin also met on the sidelines of the G20 summit in the Chinese city of Hangzhou, but it was clear that would try to revive the talks. An international news agency quoted Obama as saying, "Our conversations with the Russians are key because if it were not for the Russians, then Assad and the regime would not be able to sustain its offensive." "But it is worth trying. To the extent that there are children and women and innocent civilians who can get food and medical supplies and get some relief from the constant terror of bombings, that's worth the effort." But, when it comes to official talks, Obama refused have a meeting with Putin. However, Obama would rather talk with him in "pull-asides" at closed multilateral meetings. National Security Council spokesman Ned Prince, "The President is taking part in a pull-aside with President Putin of Russia. We expect to provide additional details of their discussion later today," an international news agency quoted him as saying. The failure to reach a deal is likely to heap pressure on Obama over his handling of the war in Syria.